1) Be on time. 2) Know your material. 3) Have a positive and professional attitude. 4) Interact with the other musicians on stage. 5) Stay in shape. 6) Warm up and cool down. 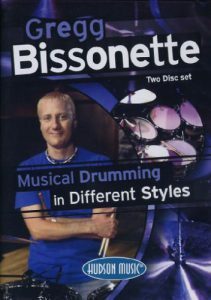 Are you familiar with Gregg Bissonette? Yes, the versatile and happy-go-lucky drummer from California. He is one of the first call studio drummers in Los Angeles. His phone may ring, when guys like Vinnie Colaiuta or Simon Phillips have to pass on a gig. Therefore Gregg is also a star in Ringo Starr’s All Starr Band and played with artists like Maynard Ferguson, Gino Vanelli, David Lee Roth, Santana, Toto, Don Henley and Ringo Starr. What a résumé and that’s only a few people. Scroll down to find an excerpt of Gregg’s discography. 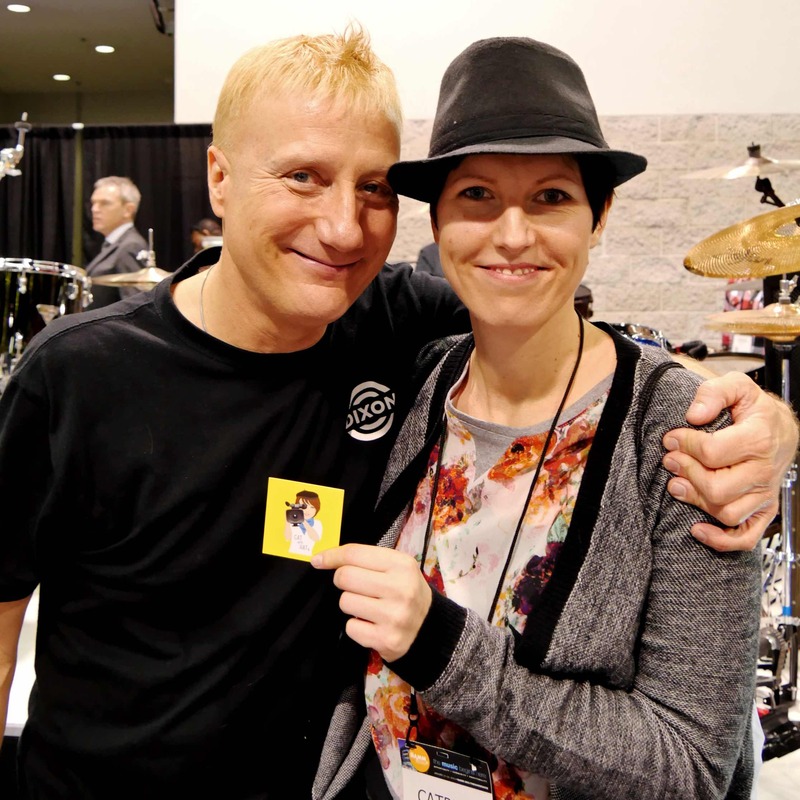 Already two and a half times I’ve had the pleasure of meeting Gregg Bissonette in person. The first time was in Berlin, where he gave a clinic. That must have been in 2003. What an entertainer that man is. Actually I do have a picture of the two of us, but unfortunately I cannot find it at the moment. But I do have one from our most recent encounter: NAMM Show 2016 in Anaheim, USA. As many other drummers I stood in line to get closer to Gregg. Yet contrary to the others I wasn’t after an autograph, I just wanted to say hi to Gregg. When I finally made it, it didn’t take Gregg long to remember me – not from the clinic 13 years ago but from a telephone interview a year earlier. In that interview we also talked about Gregg’s third solo album Warning Will Robinson! (2013). Since I had already been a fan of his second solo record Submarine (2000) and his instructional DVD Musical Drumming In Different Styles (2005), I had to get a copy of this one as well. It’s especially relevant because it comes with a second disc, where the tunes come without drums. That makes great play-along fun.